Do You Know the Father Who Never Fails or Gives Up? The grandkids, myself included, were sent away to get lunch. When we returned and the elevator doors opened to his hospital room floor, laughter could be heard from down the hallway, a sound not unfamiliar in my family, especially in my Papa’s presence. But, this time, the laughter was a result of his presence, his soul, no longer being here on earth. When I think back on this moment, my body can still feel the muscle memory of the lump in the throat that results from a stifled cry, not fully understanding why laughter, telling stories of his pranks, and joy, of all things, was appropriate in this situation. But this joy, even in the face of death, is the hope that Easter brings. Perhaps this Easter you are in the midst of death, the death of a loved one, a relationship, a dream, the consequences of sin. The good news of the Easter story not only offers us the hope of the future glory of eternal life after death, but the lens through which to look in the meantime as we gaze at Jesus’ life, death and resurrection. Jesus, God’s Son in the flesh, lived a life here on earth so that He could sympathize with our sufferings, weaknesses, and temptations (Hebrews 4:15). And yet, He lived the perfect life, fulfilling age-old prophesies, being the blameless sacrificial lamb, the only one worthy to bear our sins. That cross, that He willingly laid himself upon to be killed by the very people He came to save, is where the consequences of our sins meet the loving, undeserved, righteous atonement Christ freely offers. He provided forgiveness and freedom for us through this act of love and ultimate sacrifice. The tomb, where the power of death seemed triumphant, is where our old lives, full of decay, are brought to new life in Christ. The despairing grief of the stone sealing in the scarred body of our Savior is met with the greatest of hopes as the tomb was found empty on the dawn of the third day. This is what the resurrection means for us. God is for us, and the Spirit that raised Christ from the dead can now live in us. For those who believe, the barrier of sin is broken, giving us full access to live in the hope, comfort, and joy He gives. For those who believe, the barrier of sin is broken, giving us full access to live in the hope, comfort, and joy He gives. Our hope can never be the in the cure for cancer, in the chance that our situation may change, in the false security of good works, or in the mustering up of more faith. 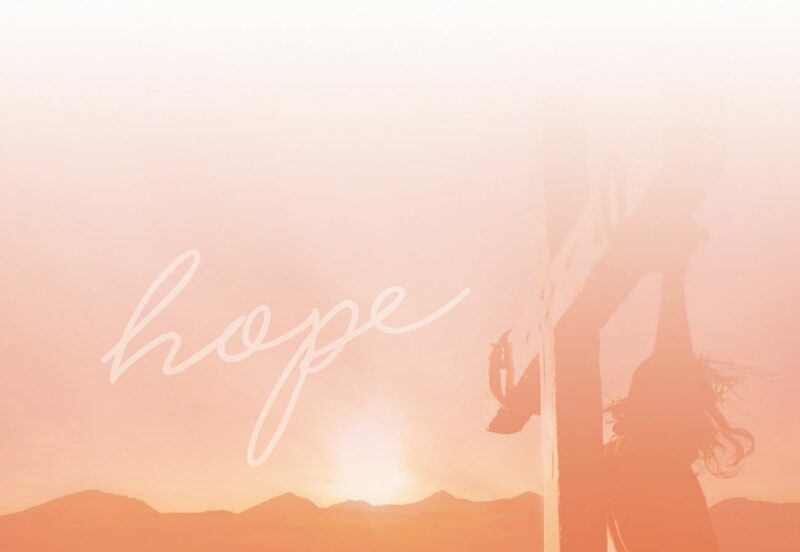 For those that believe in a Savior that committed no sin, hung on the cross in the face of mockers, died with the burden of our sins on His shoulders, and conquered the hold of death in His resurrection, the hope is free and unquenchable. It allows us to “fix our eyes not on what is seen, but on what is unseen, since what is seen is temporary, but what is unseen is eternal” (2 Corinthians 4:18). Because we are armed with this Kingdom-focused vision, my family could laugh together in my Papa’s hospital room, knowing that this pain of separation is only temporary. Whether we are at the end of a hospital bed or at the end of our ropes, we are promised the same victory over the death-filled shackles of our sin. Because Christ lives, we can live a life here on earth, not void of pain and temptation, but surrounded with the promise that God is “near to the broken-hearted and saves crushed in spirit” (Psalm 34:18). But, when hope seems as heavy as the stone laid across the tomb, we are given this promise: “Weeping may tarry for the night, but joy comes in the morning!” (Psalm 30:5). And when that morning comes, full of the promises secured by an empty tomb, “death shall be no more, neither shall there be any mourning, nor crying, nor pain anymore,” (Revelation 21:4) because He is risen! He is risen indeed! You’ll also like Truly, What Love Is This?, Beginning Faith: Walking This Life With Grit, Grace and God. You may also like Can God Use Messy People? (Video), Chutes and Ladders—Are You Trying To Work Your Way to God?, The Gift of Accepting a Pardon, and How To Read Your Bible: For Beginners. Carolyn still wants to be a dolphin trainer when she grows up, lip-synced her way through most of high school choir, hates following recipes, and thinks her spirit animal is Lucille Ball or Amelia Bedelia.